The Water Agency (TWA) runs the largest network of WATER HUBS in Asia Pacific - bringing together companies and organisations from around the world to address the region's most pressing water challenges. 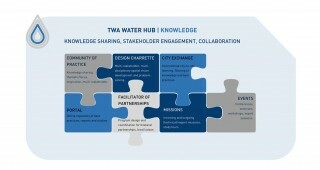 TWA WATER HUBS are unique marketplaces that help our clients and partners to build productive connections and create tangible solutions with impact. 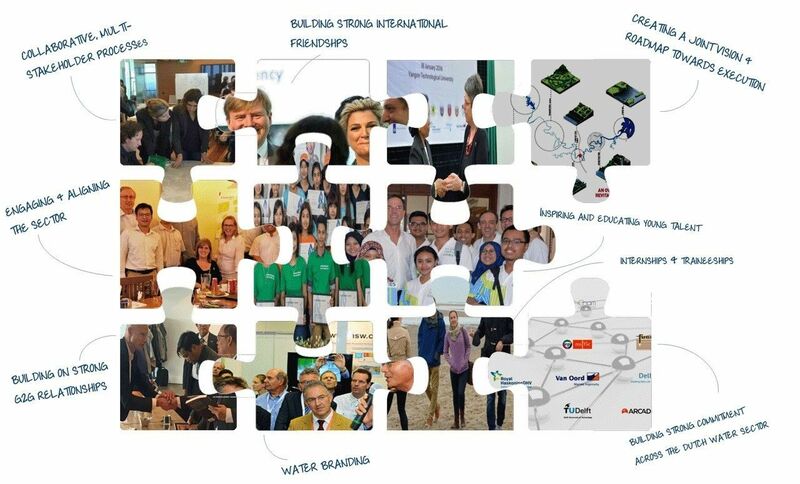 You will find TWA WATER HUBS across the Asia Pacific region - wherever the opportunity and need arises to connect, engage and inspire people. Hubs can be permanent or temporary, online or offline. We work closely together with local stakeholders and our network of international companies and organisations to design the set-up of each TWA WATER HUB. 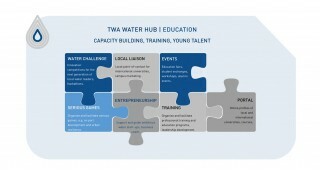 Click here to check our AGENDA to find out what is happening in the TWA WATER HUBS over the coming months and how you can join. 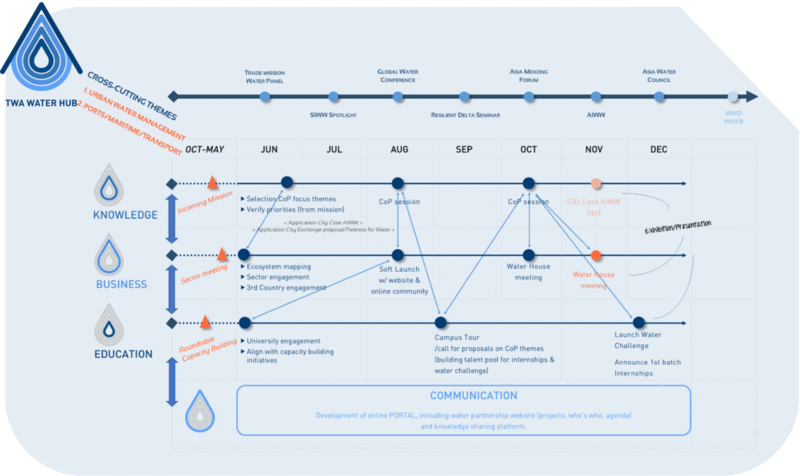 Our Engagement Platforms bring action to the WATER HUBS: organising the process and forging the connections. 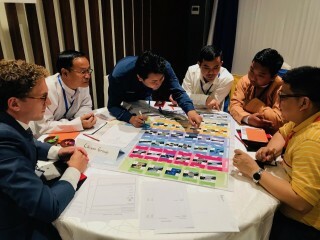 Our platforms are aimed at creating inspiring connections between people around Education, Knowledge, Business and Communications in the Asia Pacific water sector. Read more about the services each platform provides: EDUCATION, KNOWLEDGE, BUSINESS and COMMUNICATION. We help our partners to get the most impact out of all upcoming milestones on the Asia Pacific Water agenda. We do this by combining our engagement platforms and design individual or shared ROADMAPS that connect people and organisations around specific opportunities. For our partners this Roadmap Methodology helps them to be more successful in developing sustainable business, engaging talent and driving innovation.